This article, “Psychology: Research Experience Tips,” was written while I was at Carnegie Mellon University. Take extensive course work in experimental design. Do not avoid these courses. Take extra classes if you can. If possible, take and do well in some graduate level courses. Take extensive course work in statistics. Do not avoid these courses, either. Take additional courses in this area if you can. If possible, take and do well in graduate level courses. Develop excellent computer skills. Be conversant with SPSS, SAS, and other social science statistical packages. Additional expertise with database software affords you the opportunity to exercise your data management skills. Computer programming experience suggests to your potential employer that you have problem-solving abilities, and a capacity to work independently and creatively. Develop knowledge in the areas which interest you. If your interests are biological, then take a lot of biology coursework. If your interests are in health care reform, then take a lot of economics. Take additional course work in your department’s specialty area. Most departments have something they pride themselves on doing exceptionally well. Here at CMU it is cognitive psychology; take as many research oriented courses in this area as possible. You are in the pre-eminent cognitive psychology department in the country. You have an opportunity to work with some of the most gifted cognitive researchers in the world. Do not worry if cognitive is “not your area”; working with exceptionally bright, talented people will enable you to develop skills that you can transfer to any research area. Seek out and get to know the administrative people who manage the undergraduate research programs at your institution. Talk to them about the kinds of opportunities that are available to you. Serve as a research assistant. There are opportunities available at many universities to serve as a research assistant to a professor for money, credit or as a volunteer. 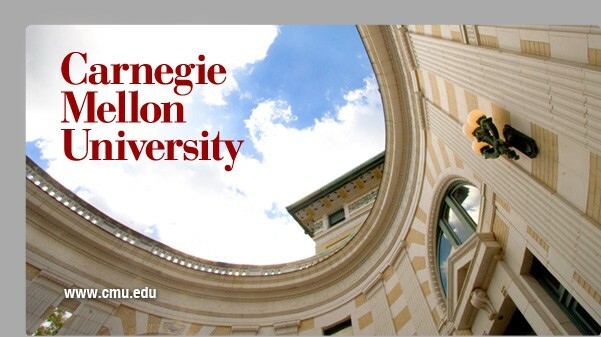 Carnegie Mellon students should obtain a SURG (Small Undergraduate Research Grant) to pursue your own research project. Students elsewhere might ask faculty if they have any funding for undergraduate research. Do a senior thesis. If your QPA is too low, or if you had a problematic semester or freshman year, explore the possibility about getting an exception made for you to pursue a research project as an honors thesis student. Consider putting exceptional people on your thesis committee. If there is someone on the graduate faculty at another college or university whose work you admire, you may want to consider having a committee member in absentia. You can write to this person and ask him/her to be on your committee. Tell this person that s/he can serve as an advisor in absentia via phone or email, and that it will only entail reading and critiquing your proposal and your final write-up. Then do a crackerjack job on your project. When you apply to work with this person in the future; s/he will already be familiar with your work. Where will you look for positions? Remember your favorite class(es)? The ones that you loved and in which you did really well? Talk to the professor. They may need a research assistant or they may have colleagues elsewhere working on similar research who need research assistants. While you are remembering your favorite class(es), go back to your readings and notes and find the most interesting articles. Are the authors of those articles alive and well and living in a region of the country in which you would consider living or summering? Look up the authors in the American Psychiatric Association (APA) or the American Psychological Association (APA) Directory. It will provide fairly current addresses. Write to these authors, find out if they would like a summer research assistant, or a research assistant for a term, or a research assistant with a B.A. You can do this even if they are famous; famous people have employees, too! Let’s say that you have followed these recommendations and after several aborted efforts, you found a research position. How do you go about sharing your research experience with others and why? First, remember all of those generous people who mentored and guided you? Now, you can do the same for others who are less experienced and/or less aware of the opportunities that are available. This can be a truly gratifying experience for you. Once you gain experience, you will be able to critique yourself by asking, “If there were a next time, what would I do differently?” Mentoring allows you to bask in the glory of someone else’s success. Second, you actually may have meaningful research findings which should be shared with others in the field. Talk with the person for whom you worked to see if they feel that you played a significant enough role to present their research at a National or Regional Conference. Alternatively, with the support and guidance of your boss/mentor present your research at an Undergraduate Research Conference. Finally, if you are a student here at CMU, publish your research in the internal undergraduate research journal. If you are not a student at CMU, see if your department has such a journal; if they do not, investigate the possibility of starting one! You can be certain that you will meet many interesting faculty, administrators and colleagues in the process.